Thank you, Gi, and Alixkovich, the only thing changing is the address and background color - all the rest is the same! Sorry you're unhappy about it, but hopefully you'll see that not much has changed! Well...I hope I'll be able to adapt but it's going to be hard...I really liked this blog, it was just yours, now Emi/Virgin has taken over everything. Well, Joyce, let me say this straight: I, for one, don't care about what your blog address is. I don't care *how* can I reach you, since you are here, next to us, to your public. And isn't this amazing? I will surely continue to follow you along your adventures and the risks you take into the musical world, and please rest assured that this is a huge privilege for us. By the way, I happen to write a blog ('from the bottom shelf': www.gslanfranchi.blogspot.com, a very humble one, actually) about opera for the Brazilian audience (mostly in Portuguese). We don't get much opera here, unfortunately (...yet, I hope), but I try to share my little lot through the internet, just as you do. My next post, after the one I'm writing right now, about regie productions of Don Giovanni, will be about you and your Gramophone awards. Congrats! Before I'm gone, let me thank you for your engagement on the cause of diversity. That's a very important stuff you're doing, and we acknowledge it. By the way, I managed to captivate my partner into the opera world showing him some dvds of contemporary productions - and had a great time together watching your brave wheel-chair rendition from ROH. Um, not happy about this either... What happened to you this summer? Oh, yes, I certainly will follow you, virtually, anywhere! Thanks everyone. But I would like to clear up one thing - the new website is simply an updated version of the old, which was simply way out-of-date in regards to format and programming. I have worked extensively with the designer, paid for it completely myself, and am personally overseeing every minute detail of it. EMI/Virgin have not made a single input or contribution to it. The Blog has and will remain absolutely my domain and I don't plan on changing a thing about it the nature of it - only the format. My entire purpose of building a website "way back when" was to make it personal and provide an insight into the inner workings of a life in opera, and I feel that has only been enhanced by a website that can be more easily updated, added to, expanded, etc, and trying to make my life a little bit more streamlined. I'm sorry if any of you feel that the content or feeling of it has changed, but I can only assure you I'm doing everything I've always done, it is only the format which has been tweaked. I hope this helps a bit. Thank you Joyce, will follow in the future as well. 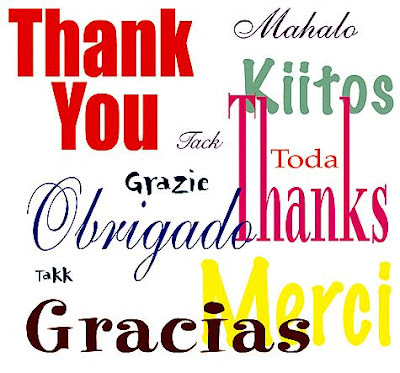 Thank you for all the post, and for the whole blog, and congratulations for your awards!! I'm listening the whole day your Rossini Cd, and it is wonderful, thank you!! I for one have not been able to "subscribe" to your blog, or maybe I have subscribed but since there hasn't been a new entry since I went in I just haven't noticed it. What I miss on the new blog is the window with the latest Twitter. I do not wish to connect to Twitter just peek occasionally. I'm still a fan and definitely looking forward to your Rosina next week in Berlin - I just don't connect to your blog as often. @gslanfranchi - Obrigada! That means a lot to me. And @Vanette - once I get another post up, let's see if the subscription works! I keep my "twitter feed" on the home page of the website now, so it's still available w/out subscribing!! Oh, get used to it,join her on twitter, send her a message-she'll read it and may even reply. And no,I'm not buttering her toast, she's immune to that. No diva on this planet shares as generously and unselfishly as she does.Ok? Ok! I will try to follow you there from now on. I got used to read here, though I did not comment all the time, lack of time, and I am sorry for that. As I have lost an artist dear to my soul without having the chance to tell her my feelings, and also the courage, I will try to tell to you how I feel about your wonderful talent. It takes a lot for me to express what I feel in words. So I will say all of those words on your new site, I am very excited to read new things. May God bless you and protect you dear wonderful artist. I have just one small complaint about your blog move and it concerns the Twitter window. I prefer the old style on the Yankeediva blog, which keeps between 3 or 4 tweets. The window in your "official website" only shows the latest twitter. Re the background color. All due respect, Joyce, but deep red is an abomination. Letters are difficult to read on it and one doesn't want to stay very long since it hurts the eyes. A simple white or off white background is always best. With nice clear black letters. If you simply MUST have a colored backdrop what about a nice, light yellow to reflect your sunny disposition? Black letters could be read easily against a light yellow background.